It’s about being on the right social media outlets and customizing the content to the target audience. Facebook has over 800 million registered users; Twitter has nearly 300 M; LinkedIn is over 100 million Google+ an insane growth potential, and Tumblr’s traffic has almost doubled in 2011. The list goes on and on. With social driving an increasing proportion of the web’s traffic, conversions and value, where should you invest your time and money? Well, it’s not about being on every social media outlet. It’s about being on the right social media outlets and customizing the content to the target audience. 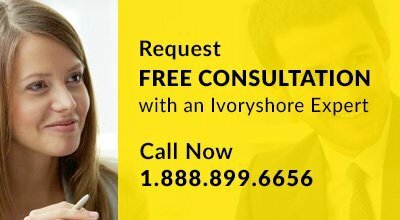 At Ivoryshore we can help show where you fit in and what you can gain from it in a measurable way. At Ivoryshore we place Strategy at the middle of all digital marketing efforts. We believe that focusing on strategy will always reap better results (conversions) than focussing on tactics more so in the fluid world of Social Media, where conversations are interactive, immediate, and fleeting. Acting as a conduit between the brand and the user, we develop comprehensive social media offerings that make use of statistical tools and metrics to keep a constant ear to what your customers are saying. Parsing this data using tools and metrics thus enables us to fundamentally understand user actions, emotions and helps us to extract actionable insights that ultimately drive performance. Our internet marketing strategy reports offer clients strategies on maximizing their ROI, understanding their competitor landscape etc. With over 400 million users, an average of 80 million photos posted each day and 3.5 billion likes on any given day, it's a valuable platform to include in your social media marketing mix. Our strategic marketing approach focuses on creating and distributing valuable, relevant, and consistent content to attract and retain a clearly-defined audience — and, ultimately, to drive profitable customer action. See how we can help you with your Social Media Marketing project.